Two stories from last week were so perfectly timed, we at Wareable are kicking ourselves for not making the link earlier. 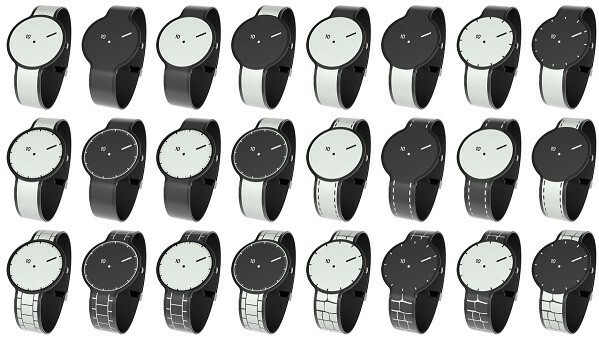 First an innovative smartwatch made entirely from e-paper, so that even the strap was customisable lands on a Japanese crowdfunding site, before reports from Japan surface that Sony is also working on a watch with the same premise. Well, this weekend it was revealed that they are one and the same. "Fashion Entertainments" – the reported name of the company asking for crowdfunding – is actually part of Sony's New Business Creation Department, which has been set up to rejuvenate innovation and new products within the company. It kept Sony's name off the project to see what its reaction would be – and given the near universal fawning over FES's simple and understated design, we think Sony can consider that one a success. It's a neat idea from Sony to trial such a cool and innovative product by removing its name altogether, but let's all hope Sony doesn't take pretending to be a crowdfunding too far; expected date for delivery for those that pledged their cash is already May 2015.